Endothelial health may be one of the most important – yet least understood – measures of cardiovascular health. Unlike serum cholesterol and blood pressure, the public is largely unaware of what the endothelium is, what it does and why endothelial dysfunction is a significant predictor of stroke and heart attacks. There are opportunities for responsible dietary supplement manufacturers to educate the public and supply science-backed options to support endothelial health. 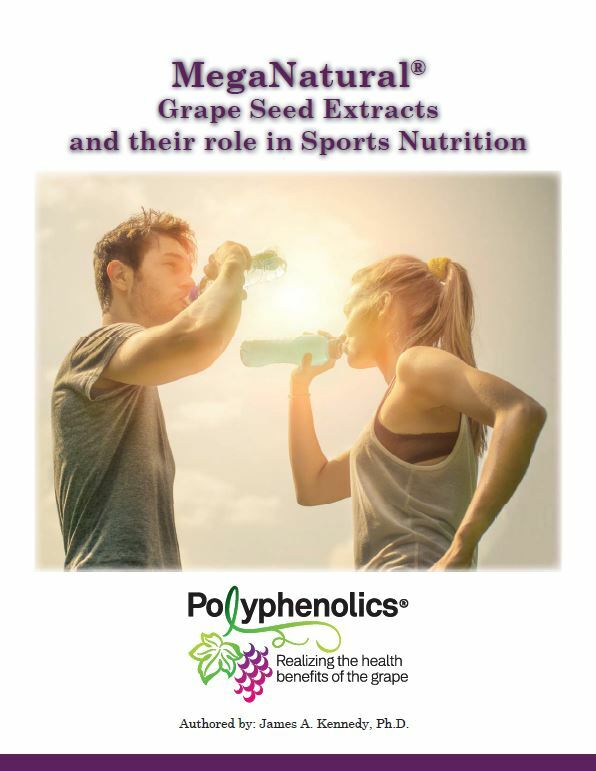 There is a robust body of research, for example, suggesting that the polyphenolic compounds in MegaNatural®-BP grape seed extract may be particularly beneficial. The endothelium is a one cell-thick thin membrane lining the inner walls of blood and lymphatic vessels as well as the heart. Endothelial cells release substances that regulate vascular contraction and relaxation, which has a direct impact on blood pressure. Here’s how it works: The interior of a blood vessel is called the lumen. Blood pressure increases when the lumen is constricted. Conversely, blood pressure decreases when the blood vessel walls are relaxed, and the lumen can dilate or increase in size. This effect, called vasodilation, helps the body achieve positive physical gains beyond healthy blood pressure. A dilated blood vessel allows an increased flow of blood to hungry tissues, nourishing both smooth (organ) and striated (skeletal) muscles and ultimately allowing them to become more effective. Increased blood flow means more nutrients including oxygen, vitamins and minerals are circulating to your organs and muscles, and your body is potentially processing waste more efficiently. Damage to the vascular endothelium, a condition called endothelial dysfunction, is a common and early marker for cardiovascular disease (CVD)1. It is also considered a significant predictor of heart attacks and stroke. That’s because when the endothelium is damaged, arteries can no longer dilate fully2, and blood vessels become less permeable. Nitric oxide (NO) – a potent vasodilator – has difficulty passing through blood vessels to the adjacent tissue. The resulting NO imbalance may lead to hypertension and premature development of atherosclerosis. While it’s known that several conditions including metabolic syndrome and diabetes can cause endothelial dysfunction, smoking and physical inactivity are also contributing factors. One study published in Clinical Cardiology3 found that endothelial dysfunction was present in 67 percent of patients without coronary artery disease but who had three or more cardiovascular risk factors including smoking and a sedentary lifestyle. A University of Colorado study, published in Clinical Science4, noted that aging is also a risk factor. “Given the number of older adults now and in the future, more information is needed on effective strategies for the prevention and treatment of vascular endothelial aging,” the researchers stated. An abstract in the World Journal of Cardiology5 listed several pharmacological treatment options for endothelial dysfunction and related symptoms including angiotensin-converting enzyme (ACE) inhibitors, statins, beta-blockers, nitrate therapy, calcium channel blockers. Blood thinners might also be prescribed to address hypertension. This is somewhat surprising since endothelial dysfunction responds favorably to a healthful diet and exercise6. The goal should be to maintain as much endothelial health as possible, for as long as possible. The “natural” prescription for this pervasive condition is lifestyle: eating an antioxidant- and fiber-rich diet, along with getting sufficient exercise and rest. For most people – especially non-smokers – a healthy diet is ground zero. But it’s well known that most people (and perhaps a large percentage of those of you reading this article) still aren’t getting enough nourishing fruits and vegetables in their diets to positively impact their cardiovascular health. That is yet another case for supplementation with single-ingredients that are as close as possible to the nutrient-dense foods we need, as they exist in nature. Along with a well-balanced diet and plenty of exercise, smart supplementation can help delay or prevent diseases to which most all of us are prone. Grape seed extracts have properties that upregulate nitric oxide production,. One patented ingredient, available as MegaNatural®-BP, has been shown to affect the flexibility of blood vessels as a result of this NO production. 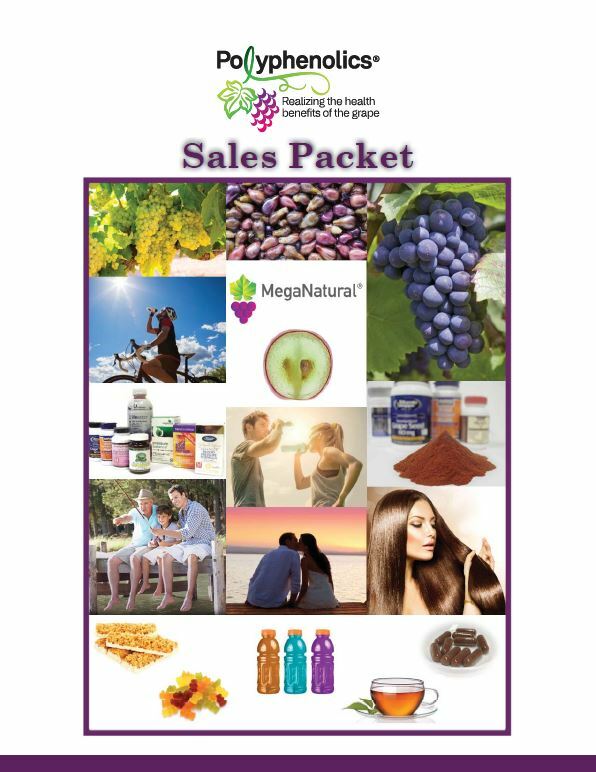 Specifically, MegaNatural-BP grape seed extract upregulates endothelium nitric oxide synthase produce NO. This contributes to the tone, or flexibility, of the blood vessel wall. Polyphenolics is a leader in promising natural solutions, with three clinical studies demonstrating that its multi-patented MegaNatural-BP supports healthy blood pressure within the normal range with no adverse side effects. This ingredient has four U.S. patents and numerous worldwide patents issued, has been heavily researched both in the lab and in double-blind, placebo-controlled human clinical trials. With each trial, results confirmed its ability to manage prehypertension in at-risk subjects susceptible to cardiovascular disorders. These studies have clearly shown that the polyphenols found in MegaNatural-BP may maintain the natural, supple elasticity of healthy blood vessels, contributing to a healthy cardiovascular system and helping maintain ideal blood pressure. UC Davis study, published in Metabolism Clinical and Experimental, 2009: At the end of four weeks, both 150 mg and 300 mg dosages of MegaNatural-BP were found to help maintain blood pressure levels (both systolic and diastolic) within the normal range. A dose of 300 mg maintains blood pressure and also minimizes oxygen stress. UC Davis study, published in Journal of Pharmacy and Nutrition Sciences, 2012: At the end of eight weeks, 300 mg of MegaNatural-BP was found to help maintain blood pressure levels (both systolic and diastolic) within the normal range. UC Davis/Institute for Food Safety and Health at the Illinois Institute of Technology study: After six weeks of consuming in a beverage, the blood pressure of study participants in the MegaNatural-BP beverage group had dropped to normal ranges. But four weeks after the study, without consuming MegaNatural-BP, their blood pressure had risen back to prehypertension range. #7,767,235 (August 2010) for its unique ingredient with a lower weight molecular composition that is more easily absorbed by the body and migrates to endothelial for improved vasodilation effect. This unique structure provides 90-95 percent total polyphenols (biologically active constituents). The patent also covers the final ingredient, MegaNatural-BP, which may be formulated into dietary supplements including capsules, tablets, powders, solutions, gels, suspensions, creams, etc. #7,651,707 (January 2010) UC Davis patent on MegaNatural-BP exclusively licensed by Constellation Brands Inc. for its unique ability to lower blood pressure in pre-hypertensive individuals and/or individuals with metabolic syndrome. “We have developed a systematic science to easily empower people to be proactive about preserving their heart health,” states Polyphenolics President James Kennedy. He explains, “It takes quite a bit of time to see the benefits of most non-pharmaceutical measures known to improve prehypertension and hypertension, such as reducing sodium intake, losing weight and increasing exercise. The public needs to know that we now have a breakthrough, clinically proven way to support healthy blood pressure that is effective within a matter of weeks. “Polyphenolics is doing everything we can to raise awareness by conducting meaningful research to help manufacturers,” says Kennedy. It pays to closely scrutinize the research and quality of various grape seed extracts currently on the market. Some manufacturers of grape seed extracts have variability of seed source, lack standardization and don’t show any specific health benefits. MegaNatural-BP’s low molecular weight also makes it dramatically easier for your body to absorb than other grape seed extract brands. 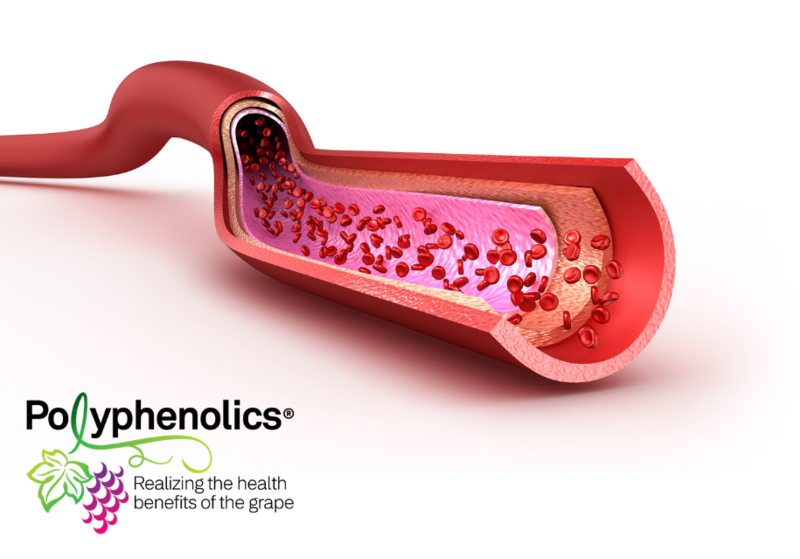 Polyphenolics also exceeds federally mandated traceability requirements and controls the entire manufacturing process from vineyard to finished material. For additional information about the research, and about formulating with MegaNatural-BP, contact us here.